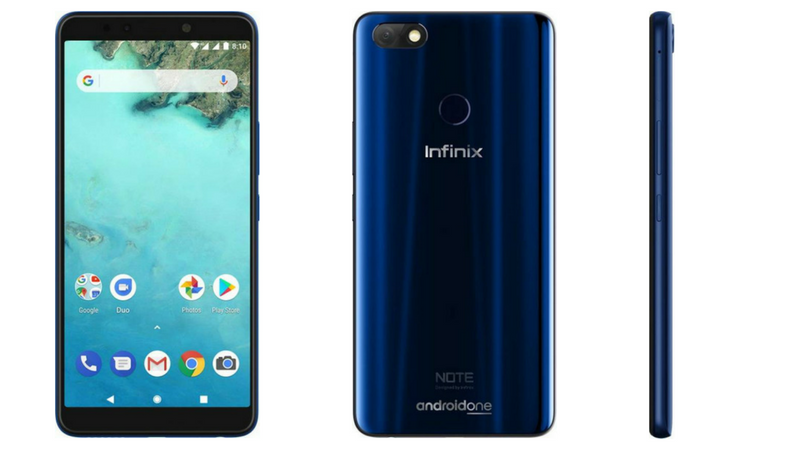 Hong Kong-based smartphone brand Infinix Mobility launched a new smartphone dubbed as Inifinix Note 5 in India. This is an Android One smartphone and comes with several other good features as well. The highlights of the phone are a 5.99-inch FHD+ 18:9 display, MediaTek Helio P23 SoC with up to 4GB of RAM and Android 8.1 Oreo. The Infinix Note 5 is the successor to last year’s Note 4 and comes with several improvements. It looks premium the glass back and has a 12MP rear and 16MP front camera with AI-powered portrait mode features. Let’s check out the full specs. The Infinix Note 5 sports a 5.99-inch FHD+ (2160×1080 pixels) IPS 2.5D curved glass display with 18:9 aspect ratio. It is powered by a 2.5GHz Octa-Core MediaTek Helio P23 processor with up to 4GB RAM and up to 64GB internal storage which is also expandable up to 128GB with a dedicated microSD slot. The Dual SIM phone runs Android 8.1 Oreo with Google’s Android One program which means it will get fast software updates. In terms of camera, it has a 12MP rear camera with Dual LED flash, 1.25μm pixel and f/2.0 aperture. There is a 16MP front camera with f/2.0 aperture. It packs a 4500mAh battery with 18W fast charting support that offers up to 3 days of battery life. Connectivity options include Dual 4G VoLTE, WiFi 802.11 a/b/g/n, Bluetooth 4.2, GPS, and USB OTG. It also sports a back mounted fingerprint sensor. The Infinix Note 5 is priced at Rs. 9999 for the 3GB RAM+32GB storage version. While the 4GB RAM with 64GB storage version is priced at Rs. 11,999. It comes in Milan Black, Berlin Gray, and Ice Blue colors. If we talk about launch offers, the Reliance Jio customers will get 500GB additional data and Rs. 2200 cashback in the form of vouchers. It is exclusive to Flipkart with the sale starting from August 31.